S.T. Haymon was the pen name of Sylvia Haymon, née Rosen, born in Norwich, England. Her father was a master tailor. She attended the London School of Economics but dropped out in 1933 to marry Mark Haymon, with whom she would have two daughters. During World War II, she lived and worked in the USA as a buyer in a New York toyshop. 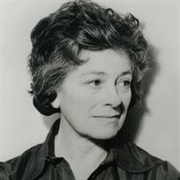 She returned to the UK in 1947 and became a broadcaster, working with "Woman's Hour" in the early 1950s. She also became a freelance writer for The Lady, The Times and Punch, producing articles on a variety of subjects including the militant suffrage movement at the start of the century. At the end of the 1960s, she began writing children's books, beginning with Bonnie Prince Charlie, published in 1969. A decade later, at age 62, she began publishing a series of successful crime thrillers under the name of S.T. Haymon, featuring Detective Inspector Ben Jurnet of the Angleby CID (modelled on Norwich). The first of these was Death and the Pregnant Virgin (1980), followed by Ritual Murder (1982), which won the Silver Dagger Award from the Crime Writers' Association. She published a total of eight Jurnet novels, as well as two volumes of autobiography, Opposite the Cross Keys (1988) and The Quivering Tree (1990). S. T. Haymon is currently considered a "single author." If one or more works are by a distinct, homonymous authors, go ahead and split the author. S. T. Haymon is composed of 4 names. You can examine and separate out names.